Definition: Liquid sugar is generally term for saturated aqueous solutions of sugar (sucrose), invent sugar, glucose, fructose, etc Slightly or in blended of different proportions. There two basic types of liquid sugar derived from the sucrose. They are two basic types of liquid sucrose. One is made from melted granulated sugar, usually filtered with a small quantity of powered carbon to improving the colour and clarity. The other type is made from high grade refinery process liquors that have been carbon treated without prior crystallization. Some refiners purify these high grade liquors by a mixed bed ion exchange process to further reduce the soluble ash and colour content. It has lower in reducing sugars and low ash and high quality liquid sugars. Its has not more than 0.4% reducing sugars. This is storage at slightly above 8.0pH has been found to minimized the bacteriological problems. It is essential that all 67 brix syrups be produced, stored and distributed with careful attention to the best sanitary practices. The most popular liquid invert is that of 52 to 58% reducing sugars at 76 Brix. It is produced from two different methods One is produced by acid inversion of melted granulated sugar is usually filtered with a small quantity of carbon to improving the color and clarity, The second type is produced from high grade liquor treated with carbon char. Which further processed by the a two bed ( Cation — Anion ) ion exchange process. The strong acid cation resins, operated at proper temperature and contact time, produced the required level of inversion. 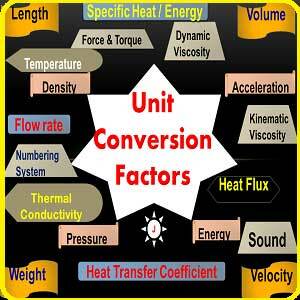 Continuous methods feature a low-acid and or high temperature with short retention time. Batch methods can invert from the 50 to 92% level in reasonable time periods. Control is accomplished by polarimetric readings, To stop the inversion, a base is added to neutralize the acid sugar solution. Different invert percentages can be produced by blending with sucrose solutions. Optimum conditions for producing liquid invert , by acid inversion of 68 Brix sucrose solution are 2.5 to 3.0 ml/lt solution at 680C for 15 min. The acid employed are always the mineral acids allowed by food regulations (EUI 995), such as sulfuric and hydrochloric acid. However organic acids such as citric; malic or acetic acids, can also be used. The inverted sugar solution is neutralized with sodium or potassium hydroxide. In this process continuously by pumping a sugar solution, to which acid is added, through the heated plug flow reactor or cascade of vessels with stirrers In this process, the degree of inversion can be controlled by varying the temperature, The solution is subsequently neutralized and, if necessary, concentrated by evaporation and cooled. The hydrolysis of sucrose using suitable enzymes like invertases, sucrases, a-glucosidases, ß-fructosidase, ß-fructofuranosidse, or ß- fructofuranoside-fructohydrolase. 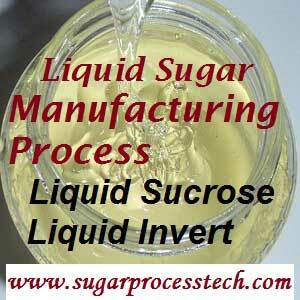 Sucrose solutions are in some cases still inverted in batches using free invertase. This is done by warming the solution in heated vessels under agitation to 550C, adjust the pH value to 5.5, generally with the citric acid, and adding invertage. Once the desired inversion level reached, the invertage is denatured by heating to at least 650C. The liquid invert sugar is commercially termed medium invert or 50% invert to differentiate it from total invert or 100% invert shipped at 70 to 72% Brix, Which is limited to specially uses. Storage tanks are constructed of stainless steel, aluminum, mild steel coated with interior protection, or fiberglass-reinforced plastics and are self-draining. The head space above the syrup storage in the tanks is kept dry by blowing in heated, filtered, and ultraviolet (UV)-treated air to prevent condensation from forming on the top of the interior of the storage tank and dripping onto the surface of the liquid sugar. In addition, UV lamps are mounted in the ceiling of the storage tanks to control microbial activity in the airspace above the syrup and on the surface of the syrup. Liquid syrup must be stored and handled very carefully. Contamination by colour, sediment, or microbiological content will result in recycling of entire storage system. The main source of contamination is from yeast fermentation. Once contamination occurs, it is a matter of time until the numbers of organisms will exceed the product specification and a complete cleanout will be required. This involves complete evacuation of the entire sugar system washing all pipes and tanks before sanitizing with sanitizing agent such as chlorine or tamed iodine. 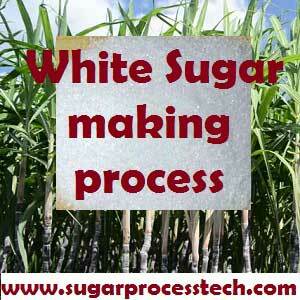 A well-designed and well-controlled sugar system should maintain quality for 6 months to 1 year. Cocrystallization concept in sugar industry crystallization process | steps for the preparation of any cocrystallization | Natural Sugar Granules, Molasses Granules, Honey Granules, Maple Granules. In this sugar article mainly discus about what is refined sugar,Refined sugar making process, and refined sugar specifications. Thank for your valuable suggestion sir. This website will be focused also on mill and boiler. 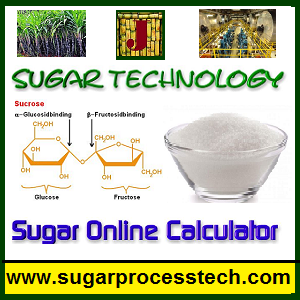 The “www.sugarprocesstech.com” invites from all technologists to share your knowledge, achievements in your working organization and new developments and technologies in sugar industry and its concerned units. It is very much helpful to show your identity to the world at the same time it will helpful to another technologist to enhance their insight and enhance great execution in there working.